Home Blog Should I Trust Books When Training My Dog? 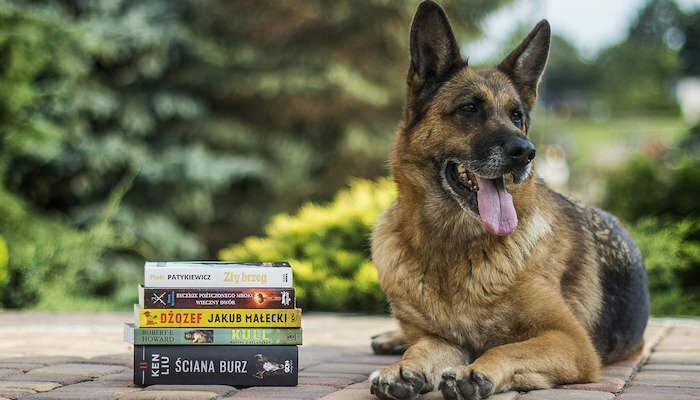 Should I Trust Books When Training My Dog? Should Dog Training Books Be Trusted? There are so many different things you can train your dog to do; so many behavior issues you might want to nip in the bud before it’s too late, and a world full of tricks to impress friends and neighbors with. Dog training can be great fun, but for an absolute beginner – where do you start? This is where dog training books come in, and one of many reasons to why they are so popular even today when people generally read fewer books. But, how come we are so keen on trusting dog training books, especially when knowing little to nothing about the author? How can we know if the training methods presented in a book are good? How can we know which books to trust? A book gives you something to hold on to; a physical guide that will tell you where to start, what to do next, what order to stick to and how to achieve what you want with your pup. It guides you through a training process that might otherwise seem intimidating and even hopeless, especially when trying to tackle it on your own. A dog training book is perhaps the closest you can get to having a dog trainer working with you, without actually having to hire one. While technology and YouTube videos have started to take up more space in recent years, there is still something appealing about being able to hold the help in your hands. You can take a book with you anywhere; flip a page to move on to the next training step or guide, and it does not require batteries or charging. These books will often offer a step-by-step type approach; making them easy for any passionate dog owner to use when training their fur friends, and they are often claimed to be written by experts. Are they? Some, but not all. A book provides a foundation upon which you can base your own dog training regime, and there are hundreds of dog training books to choose from. Dog training is very personal, and there is no one-method-fits-all out there. It is important to find a method that works for you and your dog, rather than one that is considered right or wrong. There are, however, some dog training books and methods that are considered better than others, and regardless of how you feel you want to train your pup – it is important to purchase a book written by someone who actually knows what they are doing. It is easy to believe that since someone has published a book, they must be trustable. Right? Books with instructions have something reliable about them; something that has us believing that whoever wrote it must know better than the average person and have more experience in the field of training dogs. Few ask questions, and simply choose to rely on possibly self-proclaimed expertise as a professional dog trainer. A bad dog training book is one where the training methods are not based on scientific facts, and where there is no research to back up potential claims. Anyone can publish a book – especially today with self-publishing being a popular option – and you could end up doing more harm than good if following the dog training advice of someone without the proper experience, knowledge and science-based methods. This is where it can get a little tricky for the untrained eye; knowing what to look for and what to avoid, and what dog trainer has methods that work. The first thing you want to take into consideration is that there are several different training methods, and there isn’t necessarily a right or wrong, but more a question of preferences. We have internationally famous Cesar Millan, who bases a lot of his training on the concept of the dog owner needing to be the “pack leader.” This means, with his dog training philosophy, that the human is the boss and should always be respected by the dog, in order to coexist in harmony. Then we have other dog trainers; like YouTube star and Animal Planet host Zak George, who believes in a more equal dog/human relationship. Instead of a pack leader and followers – he teaches how to find balance in the relationship with your dog, and how to make training equally fun for the both of you. Positive reinforcement, with more focus on praise for the correct behavior rather than punishment when failing to act as desired. Neither of the two can be 100% proven to be correct or incorrect, and it is up to you to decide what you feel the most comfortable with, and what would work for your dog. The lesson here is to always research the author of a dog training book before making a purchase, to make sure he or she has experience in the field. A quick google search tends to provide plenty of information, and if it does not – perhaps you want to consider a different book. Just because someone loves dogs, it does not automatically mean that they are accomplished enough to be making dog training recommendations to strangers. You also want to be looking at the release year of a book. There were some great books 20 years ago, but much has changed since then in terms of knowledge, dog training methods and general understanding. What was recommended and believed back then, might no longer be accurate and/or appropriate. Do your research, take into consideration what methods you would consider using, and see what works for you and your four-legged fur friend. Books, in general, are more researched and worked-on than information you might find on the internet. Books can be trusted just as much as you would trust information from other sources, and perhaps more. This does not mean that you can trust every dog training book; just like you wouldn’t trust every apple pie recipe to produce the world’s most delicious pie or every street vendor who claims they are selling original goods. There are, however, some dog training book gems out there; and if you read critically, do your research beforehand, keep in mind that no method is perfect and if you listen to yourself and your dog, then yes – dog training books are great assets when working with- and training your dog. 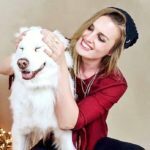 Next articleWhat is the Best Way to Train a Dog in 2019?